Everyone loves a Sunday roast. So why not give it a new feel with our Moroccan sauce. 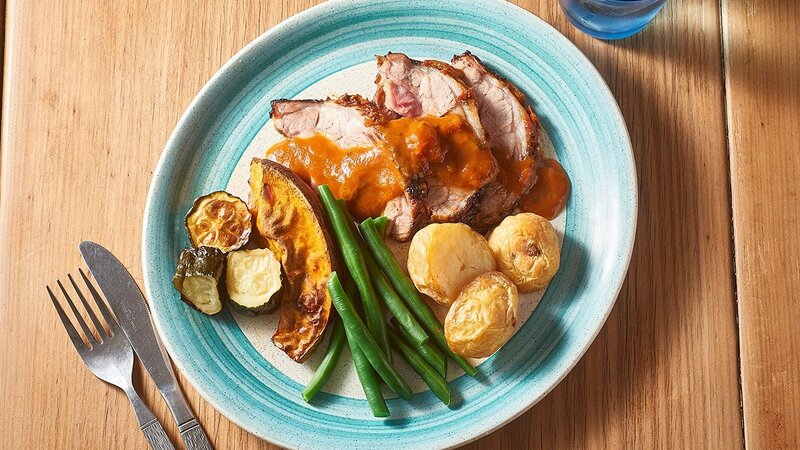 Rub shoulder with KNORR Moroccan Sauce GF and place in a moderate oven for one and a half to two hours to cook. Whilst the lamb is baking prepare your vegetables. Bake potatoes, pumpkin and zucchini in the oven on lined trays with a splash of oil and seasoning. Blanch beans ready for service.